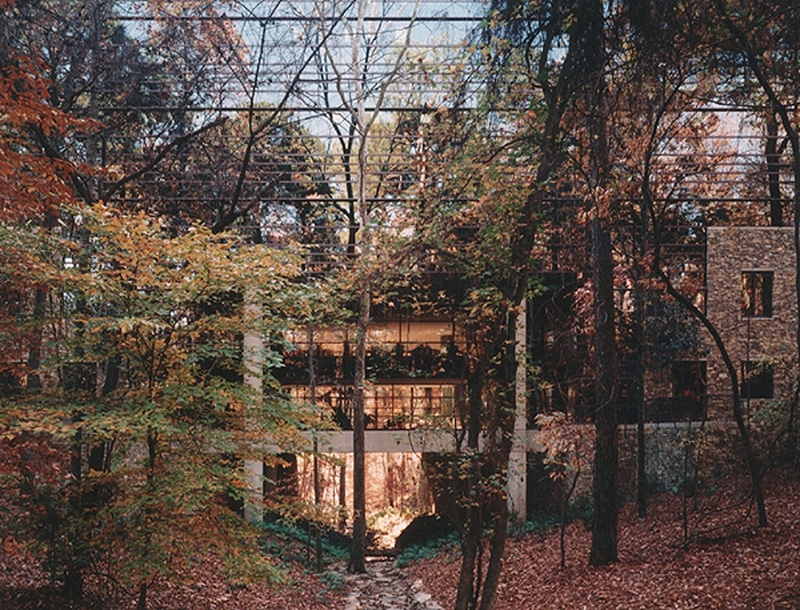 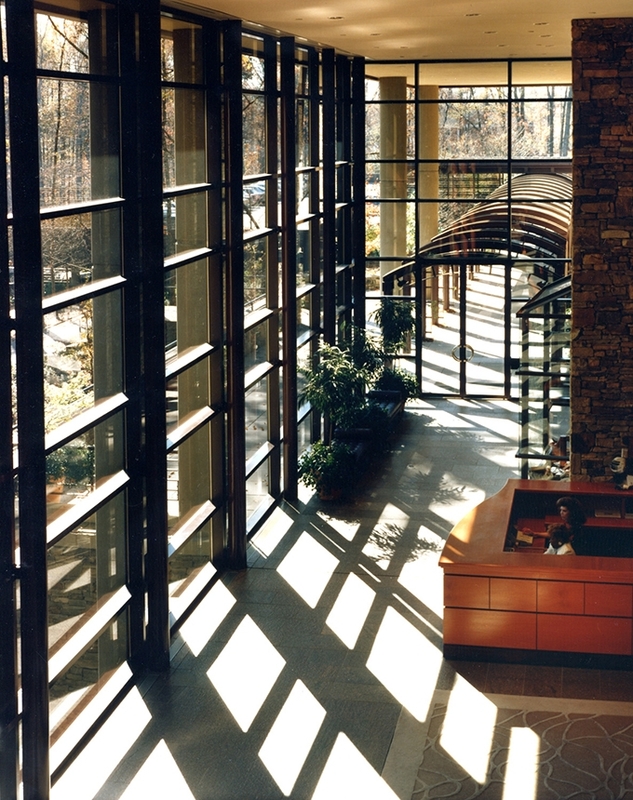 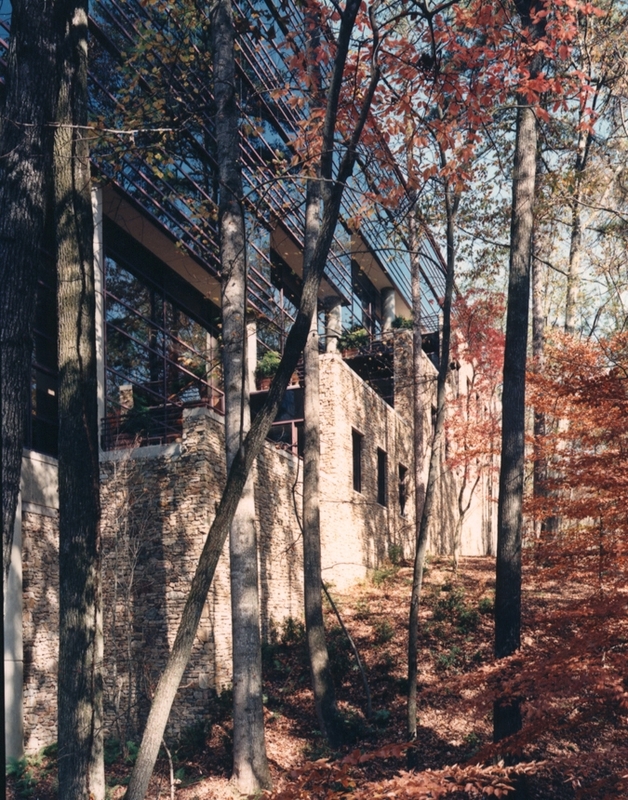 The Southern Progress building leans into its natural landscape, expressing the company’s philosophy of “enlightened use of the land.” Sheltered by a canopy of trees on a heavily wooded 27-acre site, it “grows” out of a foundation of Alabama fieldstone and bridges a 35-foot deep ravine to create a dramatic lobby that appears to float in the treetops. 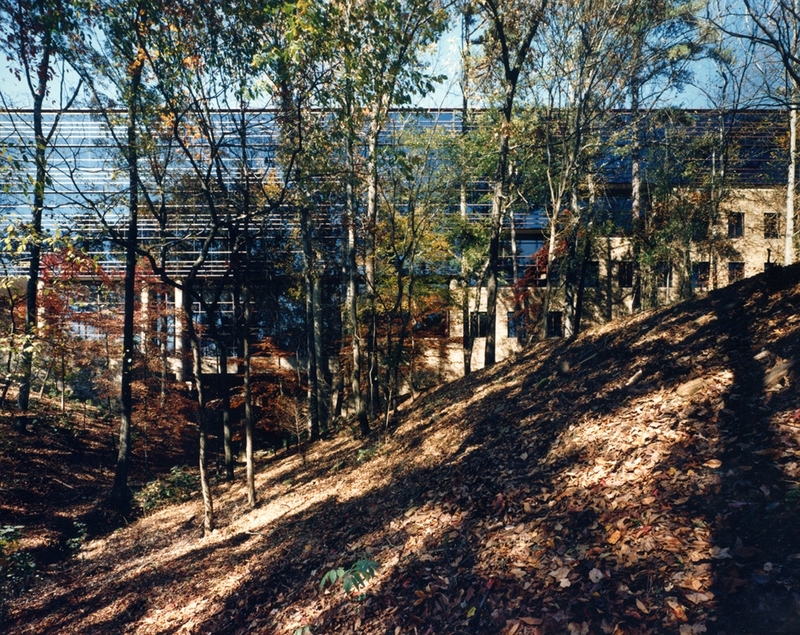 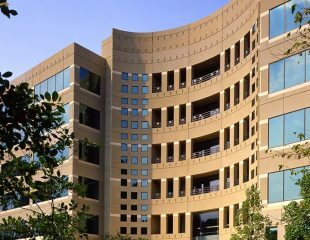 The award-winning 150,000sf building originally housed the corporate headquarters of Southern Progress, publishers of Southern Living and other regional magazines, with administrative offices, conference rooms, a 100-seat auditorium, photo studios and labs, a library, and 13 test kitchens. 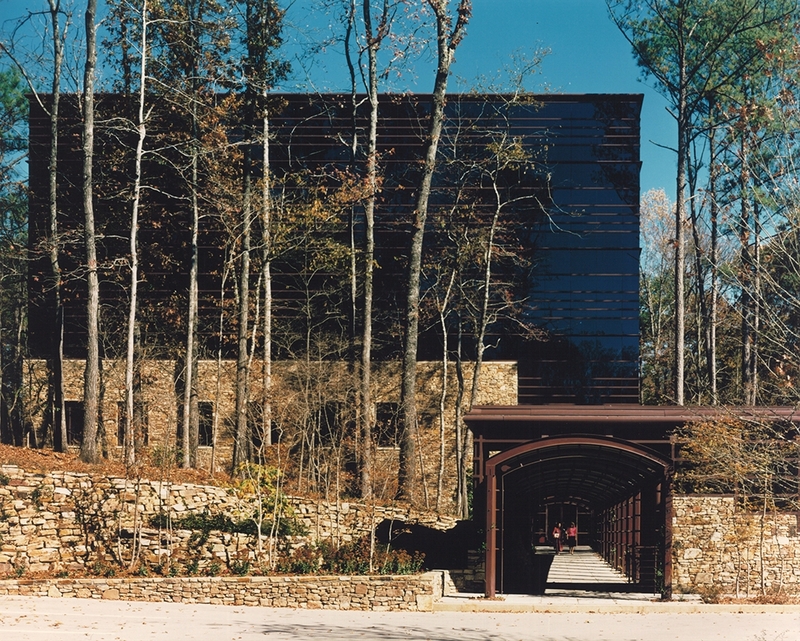 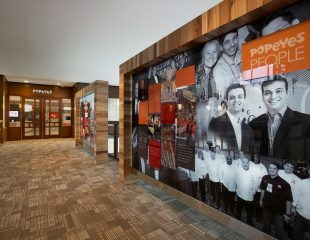 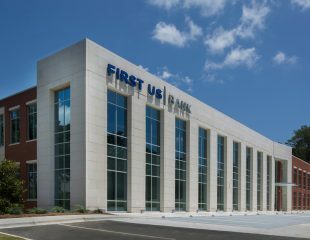 The project was recognized with design awards across the southeast and was designed by a joint venture of KPS Group and Jova/Daniels/Busby of Atlanta. 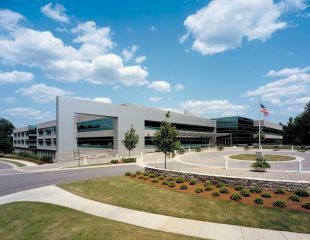 The Southern Progress building received the first 25-Year Design Excellence Award bestowed by the Birmingham Chapter AIA.